Fall is the time to work on your lawn in WNC, because the fescues and bluegrasses that perform best here are cool-season grasses. 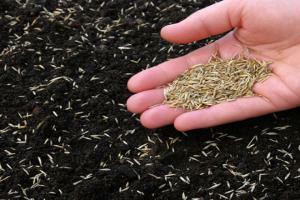 This is the time to fertilize, reseed or do a complete renovation. A soil test is key! Our lawns often need lime to compensate for our very acid soils and, unlike many areas of NC, may need other nutrients, as well as nitrogen, to thrive. Aeration is also an important part of lawn maintenance because our predominately clay soils are often compacted. Using a core aerator will pull out small plugs of turf to help break up the soil without damaging the lawn. Cores will quickly break down and be reincorporated into the turf. Beware of aerating where you have an underground irrigation system; you may damage lines close to the surface. Evaluate your lawn care practices. Too much watering or fertilizing may make your lawn susceptible to fungal diseases. 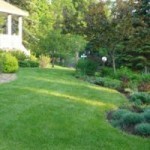 Even a properly irrigated and fertilized lawn may fail because of improper mowing. If you maintain your lawn shorter than 2 ½ to 3 inches tall, or mow off more than a third of its height during any mowing, weeds are likely to reign. Eliminating established perennial weeds might require repeated pulling and digging. If you use an herbicide, choose one labeled for broadleaf weeds. Broad-spectrum products will kill your lawn, too. This is also the time of year to decide if you’re trying to grow turf in areas better devoted to other landscape choices. 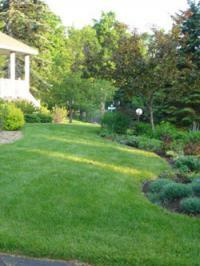 A sparse lawn may be due to too much shade or an area that is too hot and dry. Lawns don’t belong on steep slopes because of potential dangers of trying to mow. 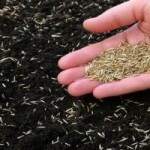 Mulch is a good solution for many areas around trees and shrubs. Moss is one indicator of poor soils that may be a lovely lawn alternative, if encouraged. Consider developing flowerbeds or a vegetable garden; you have all winter to plan.